“(un)fold” will investigate the structures, the ideas, and the acts of folding and unfolding. Through our experiments with paper and other fold-able materials, we will investigate the revealing and concealing of space, dimensionality, time, and narrative. 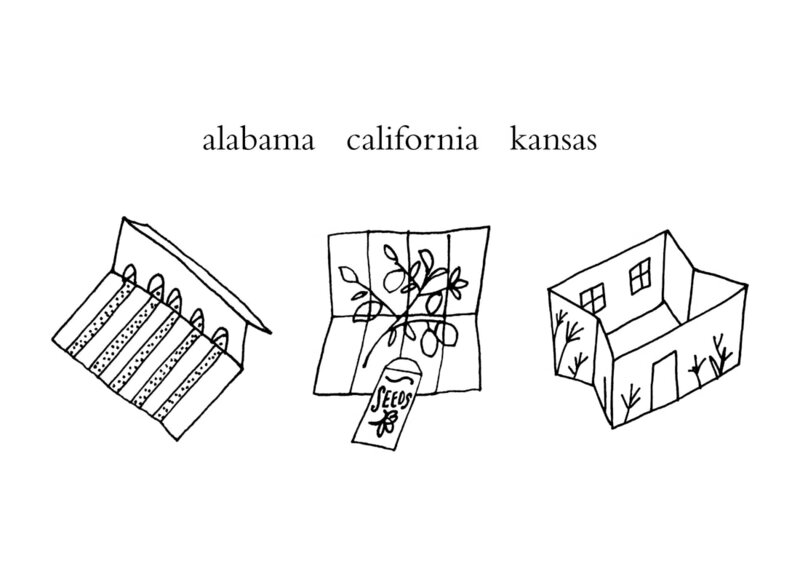 AL>CA>KS was inspired by the three states where our studios are located. As newcomers to the places that we now call home, we shared our individual works investigating the narratives, people, and landscapes where we live. This work was inspired by our first experiences of learning mokuhanga at Nagasawa Art Park in Japan, and highlights those initial impulses inspired by working, learning and living in a new place together.